"I was excited to be asked to help curate a couple playlists and shine a spotlight on some of the incredible talents in the country rap world. If this was going to be a true country rap radio show, then we wanted to make sure it was as authentic as possible," said Jones. Georgia native Dave Stone (aka The Kraken) was on the verge of beginning a new passion. A career scuba diver, River Logger, and fresh off the TV series "Ax Men" on the History Channel, Dave Stone was thinking of becoming an FM radio personality at the local Country Music Radio station, WAAC 92.9 FM All American Country. The owner had opened the door for him to get involved with the 100,000-watt station, located in Valdosta, Georgia. Soon after clocking in to give it a try, Kraken realized that he could use the freedom given to him by the higher-ups to experiment with another passion of his; Country Rap Music. Stone had befriended Demun Jones, a Country Rap artists from Jones County, GA, who was well connected. Demun had personal relationships with nearly every artist within the genre. A light went off and Stone called Jones one afternoon, "Hey man, I want to do a Country Rap Radio Show. What all do I need to play?" "I was excited at the possibility," Jones said. "I was excited to be asked to help curate a couple playlists and shine a spotlight on some of the incredible talents in the country rap world. The Lacs were an obvious choice being from this area, and then we took a look at everyone who was making moves. If this was going to be a true country rap radio show, then we wanted to make sure it was as authentic as possible and played tracks from Colt Ford, Big Smo, Lacs, Jawga Boys, Demun Jones, Moonshine Bandits, Charley Farley, Lenny Cooper, Bubba Sparxxx, and Moccasin Creek." Jones immediately called the necessary labels and artists to have every relevant album delivered to Stone. Within days Kraken had his hands on every song by every artist Jones had named and more than enough to fill the entire radio show. 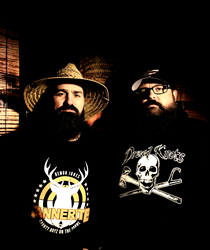 After Kraken had all the music in hand, they brainstormed on a show title and took inspiration from Demun Jones song "Country Fried" dubbing the show "Friday Nights Live & Country Fried". The show was immediately a hit and garnered a rabid fan base that tuned in weekly to hear country rap played on a terrestrial station. Fast forward to present day, and The Georgia Country Music Awards were held in Macon, GA and WAAC 92.9 All American Country wins the award for "Country Radio Station of the Year Award". Stone accepted the award and credited Demun Jones' insight in helping shape the show which made the impact that took the station and its listenership over the top. WAAC won top honors out of over 250 Country Music Radio stations within the state. Georgia is very rich in country music history and present-day dominance. For a station to attempt to integrate a country rap music is a risk, but the fresh format broke traditional playlists and resonated with audiences. Nearly 100 years after the southern birth of country music, Country Rap stands on the old squeaky porch with bass drums knocking. It's pretty hard to argue the relevance of the question that breaking formats to play popular artists like Upchurch, Big Smo, and The Lacs alongside traditional country chart-toppers has allowed the station to rise above the other Country stations in a state. The time has come and Country Rap has truly arrived.